I have tried several brands of D-Mannose by Bio-Tech Pharmacal for my interstitial cystitis and this is the only brand that helps me. I believe the ingredients are of a higher quality than the others. I highly recommend it. 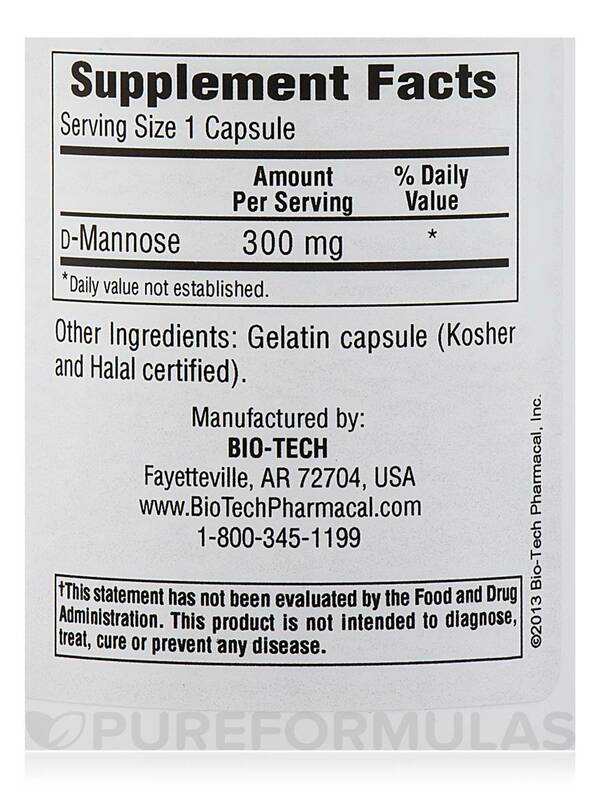 D-Mannose Capsules by Bio-Tech Pharmacal provide a form of simple sugar called mannose‚ which is naturally found in cranberries‚ pineapples‚ and other fruits. Since your body only metabolizes a small percentage of the mannose you consume‚ most of it ends up in your urine and eventually fills your bladder. 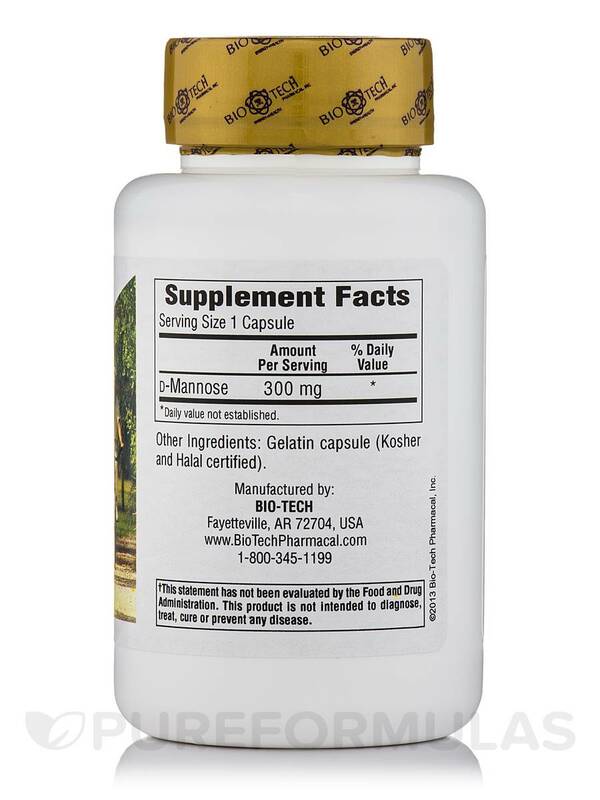 As a result‚ D-Mannose Capsules may work to maintain bladder and urinary tract health by flushing out some forms of bacteria‚ such as E. coli. In general‚ E. coli usually sticks to inner walls of the bladder and urinary tract; however‚ mannose attracts E. coli and might discourage it from sticking to your cells. 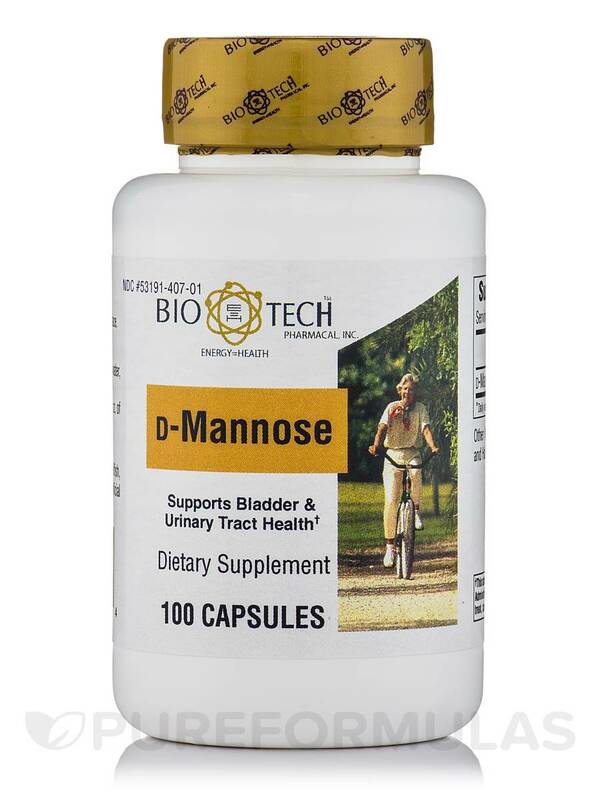 Therefore‚ D-Mannose Capsules may help relieve certain symptoms associated with mild urinary tract infections (UTIs)‚ such as the urge to urinate frequently‚ a burning sensation while urinating‚ or lower abdomen pain. One capsule provides 300 milligrams of pure‚ natural D-mannose‚ while each bottle of Bio-Tech Pharmacal’s D-Mannose contains 100 capsules. 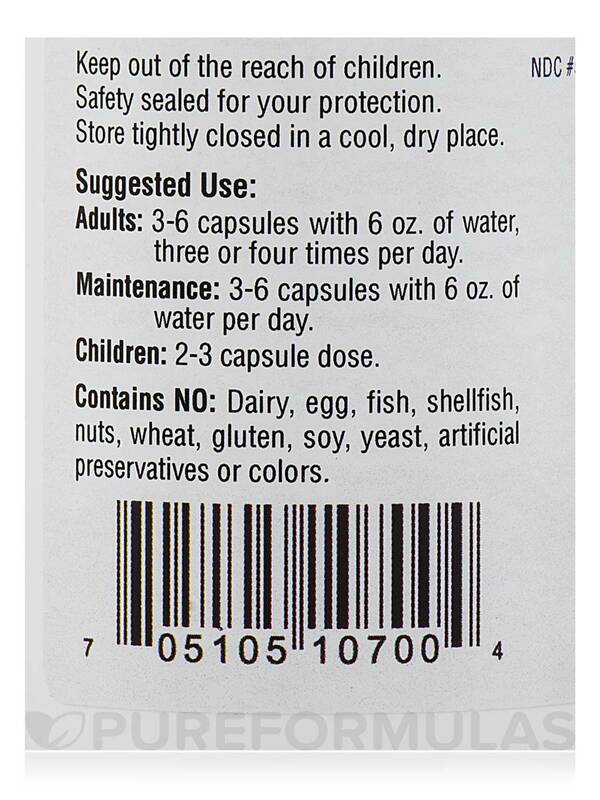 Contains no: dairy‚ egg‚ fish‚ shellfish‚ nuts‚ wheat‚ gluten‚ soy‚ yeast‚ artificial preservatives or colors. 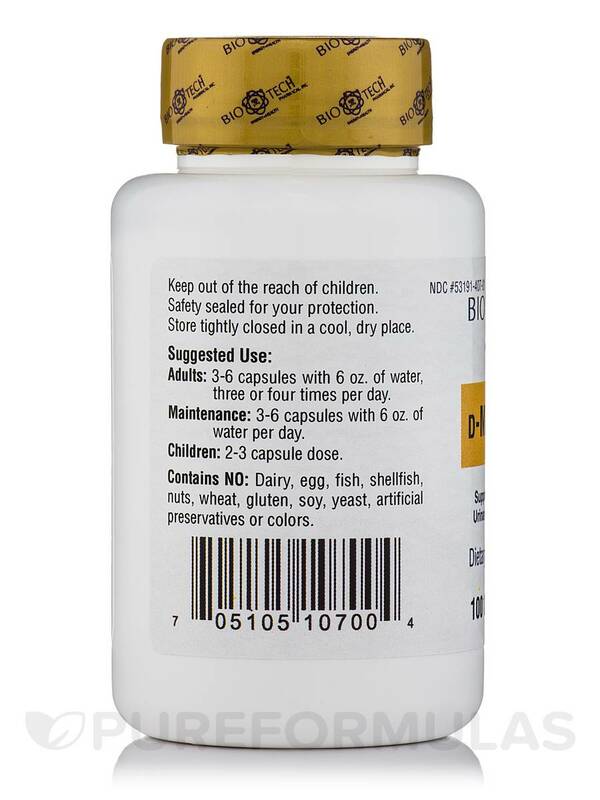 Adults: Take 3-6 capsules with 6 oz. of water‚ three or four times per day. Maintenance: 3-6 capsules with 6 oz. of water per day. D-Mannose by Bio-Tech Pharmacal is very control as it is in a capsule. You don't have to deal with messy powder! The only con for this item is cost. I have to take at least 3 per day, sometimes more.